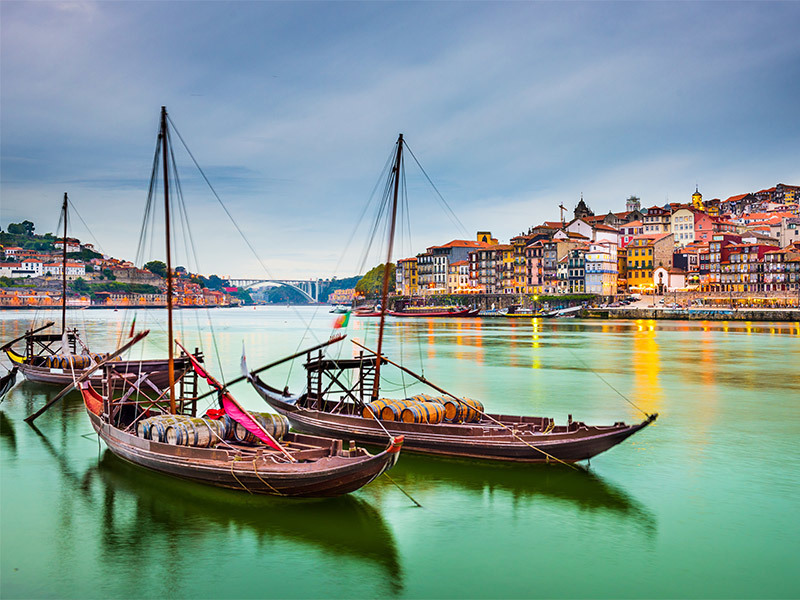 Have breakfast, then check out of your hotel and take a scenic ride to Porto. Stop for lunch in Coimbra, birthplace of six Portuguese kings and home to one of Europe’s oldest universities. Upon arrival in Porto, proceed to the dock at Vila Nova de Gaia to board your ship. Then, after boarding, you can relax and get settled in your stateroom before a welcome cocktail and dinner is served. This morning we sail along the Douro, arriving at Régua in early afternoon. Disembark for an excursion to Vila Real, site of the extraordinary Mateus Palace (the building depicted on the Mateus Rosé wine labels). This stunning baroque palace was the home of the last count of Vila Real; its pinnacled facade, grand stairway, richly appointed interiors and priceless objects on display will astonish you, as will the palace’s enchanting formal gardens featuring cedar-lined walkways, exquisite sculpted hedges and statuary and serene bodies of water. As you depart, catch glimpses of the town’s ornamental carvings and tiled walls. Visit one of the area’s iconic port wine–making institutions. See its vineyard and tour the facility to learn how these unique Portuguese products are crafted, then sample the libation in their tasting room. Rejoin your ship in Pinhão for dinner. Today you have a full-day excursion to Salamanca, Spain. This ancient city, a UNESCO World Heritage Site, is a living museum that takes visitors back to the Middle Ages; yet it is also a cosmopolitan and multicultural city with a large population of international students. Take a ride through the Iberian countryside to Salamanca, then spend some time exploring the shops and cafés of the Plaza Mayor (Main Square) on your own. Your afternoon guided city tour takes you to the Gothic House of Shells, the 13th-century Salamanca University and the New Cathedral, built from 1513 through 1733. The Old Cathedral still exists and can be visited during free time. Rejoin your ship in Vega de Terrón. Then continue for lunch at Quinta da Avessada, a rustic centuries-old winery in the heart of the Douro Wine District (a UNESCO World Heritage Site), and sample some local varieties of port, such as moscatel. Rejoin your ship in Pinhão and set sail to Régua, where you remain docked overnight. After breakfast, disembark for a visit to Lamego, a small town known for its baroque Sanctuary of Our Lady of Remedies, dating back to the 14th century and still used by pilgrims today. Visit the shrine, decorated with exquisite tilework in the Moorish manner, and descend the grand baroque staircase. You also see the town’s Gothic cathedral and the ruins of 12th-century Lamego Castle, with its unusual vaulted cistern. Return to your ship for lunch and scenic afternoon sailing along the Douro, back toward Porto. After arriving in port, enjoy a festive farewell dinner; we are docked overnight, so feel free to take an evening stroll or join the activities in the Lounge.